(1968, United Kingdom) Timothy Morton is Rita Shea Guffey Chair in English at Rice University, and in 2016 was considered by TheBestSchools to be one of the 50 most influential living philosophers in the world. Known as the "prophet of the Anthropocene," his work is intrinsically linked to his conception of ecological thinking and encompasses philosophy, ecology, literature, music, art, architecture, design and food. He has written 160 essays and over 12 books, including Ecology without Nature, Dark Ecology: For a Logic of Future Coexistence or Humankind: Solidarity with Non-Human People, published in 2017. 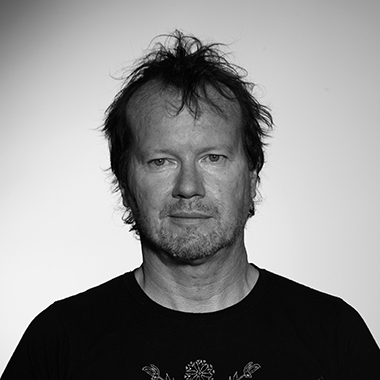 Timothy Morton gave the Wellek Lectures in Theory in 2014 and has collaborated with Björk, Haim Steinbach and Olafur Eliasson.